Why list with C. Kelly Smith? When Choosing a realtor there are many things you want in finding an agent who will sell, or rent your home going the extra mile and using a range of marketing tools to get you the best deal possible in a reasonable amount of time. Choosing a realtor company known around the world such as Century 21 realtors, you can view reviews and see inventory in all areas, and by using a franchise that has name brand recognition usually has a large referral network, large listing inventory, formal training, and strong technology resources. For the second year in a row, the CENTURY 21® brand ranked highest overall satisfaction for first-time home buyers, repeat Home buyers, first-time home sellers and repeat home sellers. Sending out special e-mails on a daily basis to over 1600 of my personal potential buyers. These including pictures, summaries of listings, along with general and helpful information with direct links to inquiries. Track all clients by the type of property they are interested in, and then quickly contacting them when the “right” property comes on the market. Hand-deliver just listed notices to every Real Estate Office in the area for each new listings. Tracking every client that we come in contact with to determine how they found out about Century 21- Tahoe North, Realtors. The results of this tracking system are used to spend our marketing dollars where they will do the most good. Carnelian Bay- the HEART of the North Shore, this location give our team tremendous walk-in exposure. 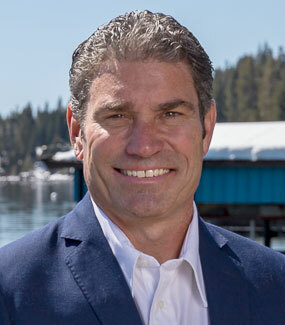 Century 21 – Tahoe North, realtors are well known and respected in Northern California. An experienced group of active salespersons; we’re extreamly happy with our current staff. All agents work together as a team. We’re proud of our reputation as hardworking, friendly and courteous professionals. Our vacation and long-term rental programs, with homes and condominiums, are very active and growing. Those who vacation in Tahoe often buy in Tahoe.